I remember my grandmother who always had a tub of Star Margarine in her kitchen. Every time we would drop by her house for breakfast or lunch, she would whip out a tub and ask us to spread spread a a generous amount on our steamed rice or on a toasted bread–aaaah brings so much childhood memories. While I do know margarine is loaded with vitamins and minerals it was just recently that I learned of its many benefits. For brain growth and development, margarine has vitamins B6, B9, and B12; vitamin D; and iodine. It also has energy-building vitamins and minerals like B vitamins that help with the absorption of nutrients from the food they eat, as well as vitamin D3, which is essential for muscle function. According to an Australian Foodwatch website, a study done in the United States of 46 families reported that swapping butter to margarine successfully lowered blood cholesterol levels. With obesity on the rise for a new generation of iPad playing, less active children, margarine is a better spread alternative, because it spreads more thinly, saving them from unncessary calories. And it’s only 70 percent fat—some even lower at 50 percent at light spreads—compared to butter at 80 percent. It’s made from vegetable oil. Unlike butter, which is sourced from animal fat, and thus contains a load of cholesterol, margarine contains little or even no trace of cholesterol, as it is from vegetable oil. According to Medical News Today, margarine not only lowers cholesterol, but can even block cholesterol absorption—so families with a history of heart disease and high cholesterol should use margarine at home. It lowers the risk of coronary heart disease. Researchers at the Harvard TH Chan School of Public Health published the results of a 30-year-study of thousands of people’s diets. Their breakthrough discovery? Those who remained healthy over the long period were those who replaced even just five percent of their saturated fat with polyunsaturated fat or monounsaturated fat. The result? As much as 25 percent lower risk of coronary heart disease. It lowers your fat intake. Switching from butter to soft spread margarine helps to reduce intake of solid fats, because fats that are solid at room temperature, like butter and shortening, are typically higher in saturated fat and trans fat and should be limited. Instead, consumers are encouraged to choose healthy unsaturated fats, like those found in vegetable oils and products made from vegetable oils, including soft spread margarines. Lakas make-throwback nito! Childhood days when margarine on toast was for merienda. 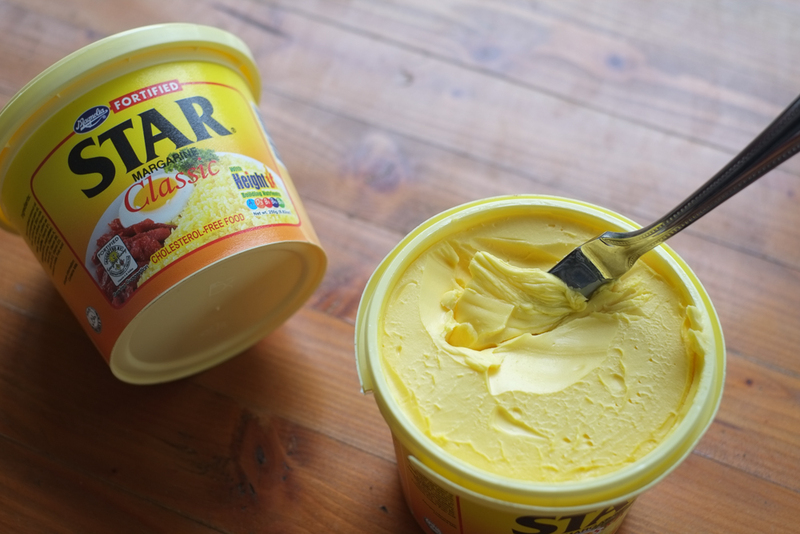 Star Margarine, the leading fortified margarine brand in the market, offers six yummy flavors–Star Chocolate, Star Vanilla, and Star Caramel to name three–so you can switch it up. You can use Star Margarine primarily as a spread or you can use it for cooking–I personally like to use it to sauté vegetables to add flavor. Remember that margarine’s unsaturated fats can have “the most impact on reducing the risk of heart disease”. Now this is the kind of fat I don’t mind taking! Two generations in my family are believers of the benefits of margarine as a heart-healthy option. 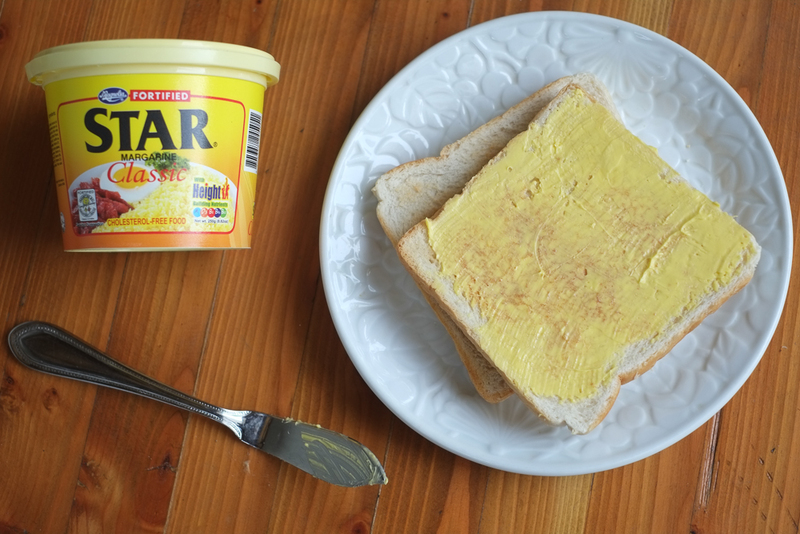 So I’m continuing the tradition– Star Margarine is making a comeback in my kitchen. 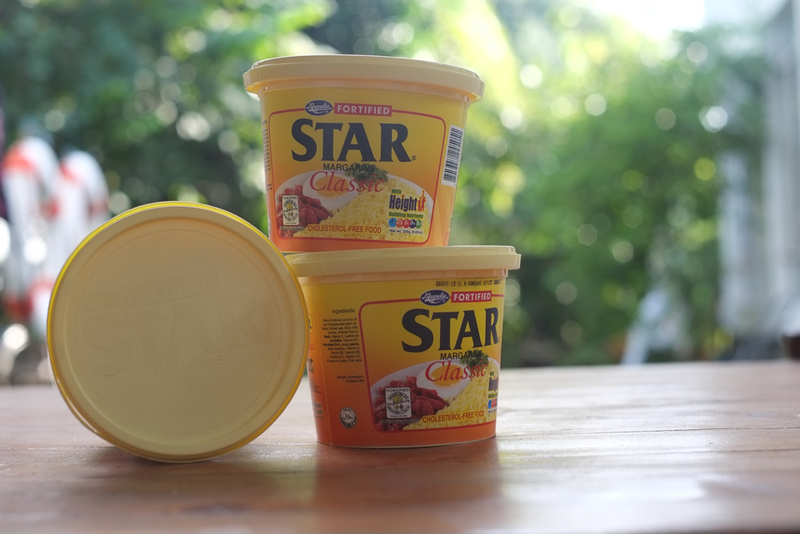 Star Margarine is available at leading supermarkets nationwide.